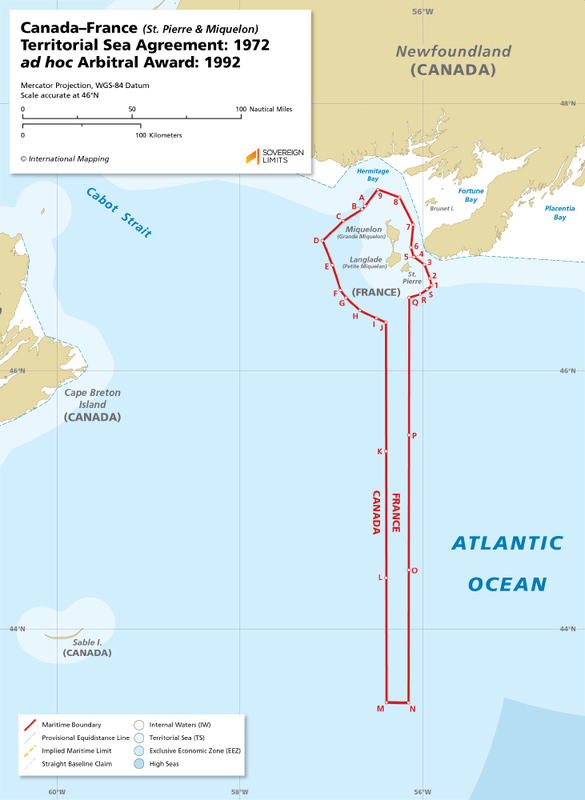 The maritime boundary between Canada’s Newfoundland Province and France’s St. Pierre and Miquelon Islands was established in two phases. The first was a bilateral Agreement reached in 1972 that established the 12 M territorial sea boundary. 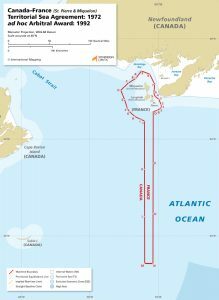 Twenty years later, an Arbitral Award provided St. Pierre and Miquelon with an access corridor, which extends due south of the islands for a distance of 200 M.